‘Propagation of Agnihotra in each and every household is the true form of Satya Dharma’ said Mahanubhav Shri Madhavji Potdar in 1963. Shri Potdarsaheb was born on 1st October, 1915 in Vidisha, Madhya Pradesh. Father Shri Govindrao and Mother Smt. Radhabai Potdar’s second progeny came to be distinguishedly known by the name of Madhavji. Endowed with remarkable genius and great intelligence this bright child had established his distinguished identity in childhood itself. His academic education was completed in 1937. In that year Madhavji passed his B.Com. examination in First Class securing First position in the merit list of Lucknow University. He was awarded a Gold medal for this feat. On job front he worked for various companies and finally came to Bhopal in 1948 to work as the General Manager of Straw Products Limited. He worked here on this position for six years. While working here he earned a distinguished recognition for himself by becoming the most loved manager of all the workers of the Mill. He was like God of them. They worshipped him. ‘Saheb’ had a compassion filled mind. More than caring for his own privileges he passionately strived for getting others their rightful dues. ‘Saheb’s’ lavish life-style, aristocratic way of living was of the quality about which a common man longingly dreams.  He was an expert in management techniques and hence was a consultant to many companies. His administrative abilities and skills were lauded everywhere. In life Potdarsaheb had everything – money, name and success but still he was not a self-centered person. His attitude was always that of a very charitable person who was ever ready to help the needy. Humanity was the greatest religion for him. He never believed in so-called religious ceremonies and connected rituals and therefore always kept himself away from such things. In the year 1954, at the age of 39 years, a very powerful change took place in the life of the most honest, truth-abiding and kind hearted Potdarsaheb. It so happened that ‘Saheb’ left the lucrative job and decided to start his own business. Incidentally in mid-May, 1954 he happened to meet Shri Gajanan Maharaj Rajimwale of Akkalkot, which is in Solapur district of Maharashtra. This meeting happened to cause such a deep impact on ‘Saheb’s’ mind that he became Shreeji’s follower for life. After staying for a week in Akkalkot he returned to Bhopal and established his new business in the name and style of Potdar Agencies Private Limited. The business was growing profitably and also rising ‘Sahab’s’ faith, devotion and love for Shreeji. Consequently this resulted in Shreeji taking him as his disciple by initiating him in June, 1957. Here onwards began the period of observing rigorons spiritual disciplines and penances. ‘Saheb’ being in the habit of doing any work whole-heartedly, totally concentrating the mind on the accepted job at hand and, therefore, soon he became fully and sincerely engrossed in the adopted spiritual disciplines. 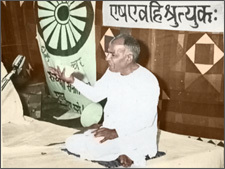 Under the guidance of his Sadguru he wrote some books like ‘Akkalkot Swami Parichay’ in Hindi and Shreeji’s Sanskrit composition ‘Sapta-shloki’s’ Hindi translation with elucidation and also some others. As a consequence of doing the Hindi translation of ‘Sapta-shloki’ he could perceive the importance of Vedas and also felt a growing fascination for them. In reality, however, all throughout his life, at no time, forget about studying them, ‘Saheb’ had never even seen the books of Vedas. Fifteen years ago, on the same lunar day of Vijayadashmi a similar vow was taken by Shreeji but in Potdarsahaeb’s vow the words “do-work of” and “with single minded devotion” were the only additions. 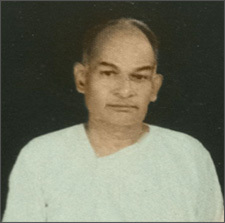 Potdarsaheb had to do the practical work in the field to implement Shree’s vow into practice. The next fifteen years of his life were spent in fulfilment of this vow while facing tremendous hardships, making sacrifices at various stages, enduring everything as part of the rigorous penance. This period of 15 years depicted ‘Saheb’s’ life as a true propagater of religion, its each and every atom showing only unflinching faith, single minded devotion. During this testing period the kind of life ‘Saheb’ lived and whatever he did to further the cause is singularly remarkable. No family man could have shown such courage. However, ‘Saheb’ had made up his mind for total sacrifice and proved the word ‘Sacrifice’ meaningful. After taking the vow, on Shree’s command, ‘Saheb’ had gone on an all India propagation tour. During the five tours in five months, from 4th November, 1959 to 23rd March, 1960, he had propagated every where the message of Satya Dharma through his book ‘In Search of Happiness’. Later, Shree said that through the medium of these tours an important work of giving the divine message to all the four directions has been accomplished by Potdarsaheb, other than Potdarsaheb nobody else could have fulfilled this task. Agnihotra had not come into prevalence as yet. Though ‘Saheb‘had written about it in his book ‘In Search of Happiness’ but he had not outlined the process of its practice. He had only highlighted its importance and giving its history had actually challenged the scientific fraternity to undertake research to know the effects of yagnyas. Meanwhile, circumstances forced him to close down his business in August, 1961. With business gone income from practical sources came to a naught and now started the days of penury and miserable conditions. As it happens in such conditions, name and honour in society were lost and so also all the relatives and relationships. Now, here was standing with his vow a solitary man empty handed but standing valiantly and fearlessly with the resolve to fulfill it, come what may. In such circumstances came Agnihotra into existence in the sphere of ‘Saheb’s’ work. Though facing various odds his mind used to be constantly busy in contemplation. He had to propagate the five pathways of Satya Dharma viz. Yagnya, Daan, Tapa, Karma and Swadhyaya. The question he faced was which one to preach first and which one in the last and who would be able to practice all the five? Agnihotra. In 1964 these articles were printed in the form of a book and this book was given the name of ‘Dharamapath’. Saheb firmly believed that for all the problems and difficulties in life there is only one remedy and that is Agnihotra and hence he had dedicated Agnihotra to the populace. The preceptor, the preacher of Agnihotra is Saheb and Saheb alone. In 1962, two books were written by him. These were ‘Math, Mandir, Masjid, Gurudwara’ in Hindi verse and The Last Step in English prose. By 1966 about 8-10 Agnihotra had already started in India. There were 2-3 regular Agnihotra practitioners in Pune, 2 in Mumbai and 3-4 in Bhopal. In the month of March, 1966 Saheb had to leave Bhopal. He came to Ujjain. His family was with him. In the six member family the youngest member was only 4 years old. Difficulties continued to haunt him here in Ujjain too and yet passing through all odds Sahab started propagation work from 15th Februar, 1968. Almighty’s work do not require superficial means. Sahab’s propagation work kept spreading on the strength of his unflinching faith and it continued growing with positive results. Staying for two years in Ujjain Sahab returned to headquarter in Bhopal and untiringly worked very hard for the next 4 years. Meanwhile in 1971 he established ‘Panchratna Goshala’, a cow-pen, to facilitate easy availability of cow-dung cakes and cow’s pure ghee necessary for performing Agnihotra. In 1972 the mission mouth-piece, monthly ‘Dharmasoorya’ magazine was started and in 1973 Sahab successfully organised a ‘Manav Dharma Sammelan’. 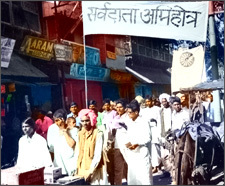 In January 1974 arranging a meeting of all the Pracharaks (propagators) spread all over India. He gave useful and effective directions for future course of action. With astonishing speed and planning for doing all this he fade farewell to the world on 9th June, 1974. Out of 58 years of his life he lived 15 years soulfully for us all. Lived for the re-establishment of Satya Dharma, a life which was full of unimaginable hardships. The member of practising Agnihotra had reached upto 5000 and there were hundreds of volunteer pracharaks actively working in the field. Sahab had become fully assured that now this work can not be stopped even if attempted by anybody. A kindly Saheb was an easygoing, very simple person and hence he faced deceit many times in life. As a ‘Pracharak’, propagator of Satya Dharma he worked selflessly for the welfare of the people without ever longing for name or fame. Not only this, the knowledge he attained through his own hard labour, sacrifices and penances all of that he handed over, delegated to the populace. This is why it becomes our moral responsibility to always remember him and his sacrifices. All over the world wherever Agnihotra is practised at all such places Saheb and Shreeji should be remembered alongwith Agnihotra.This Master–Disciple pair has rejuvenated the Vedas. Today Agnihotra is practised by millions of people and tomorrow this figure is going to be in billions. We have to keep in our memory the sacrifices Saheb has made for our sake otherwise it would seem that we too have deceived him. We are the people and people’s intention itself is divine intention. With benevolent grace whatever Saheb has given to us we are and would always remain thankful to him for it. Sahab’s biography ‘Mahanubhav ka Adbhut Darshan’ is written by Jayant Potdar, Sahab himself has written ‘Paramsadguru’, Nalini Madhavji has authored ‘Sahab’. These books aptly narrate Sahab’s struggles and shows how, inspite of facing various odds, he worked for the rejuvenation of Agnihotra. However, today even ten percent of the Agnihotris do not know that their ‘Deity’ is Paramsadguru Shreeji and their ‘Ideal’ is ‘ShriSahab’. In this world whosoever is practising Agnihotra at whatever place he or she is fundamentally the follower of Sahab only. Ungreatefulness is inhuman. Therefore we should be greatful to Sahab who made many sacrifices and gave us Agnihotra. We should always remember this. 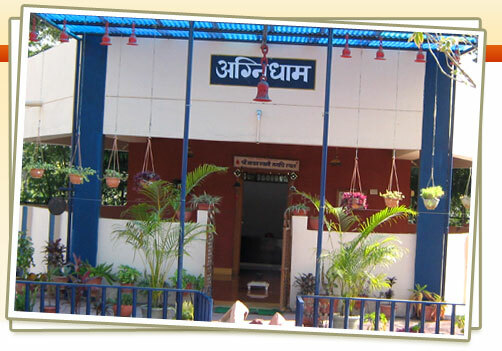 The astounding work of the rejuvenation of Satya Dharma done by Saheb is greatly lauded and approved by Shree. ‘The Master’s following utterances from time to time clearly indicate his love and the esteem in which he held Potdarsaheb.